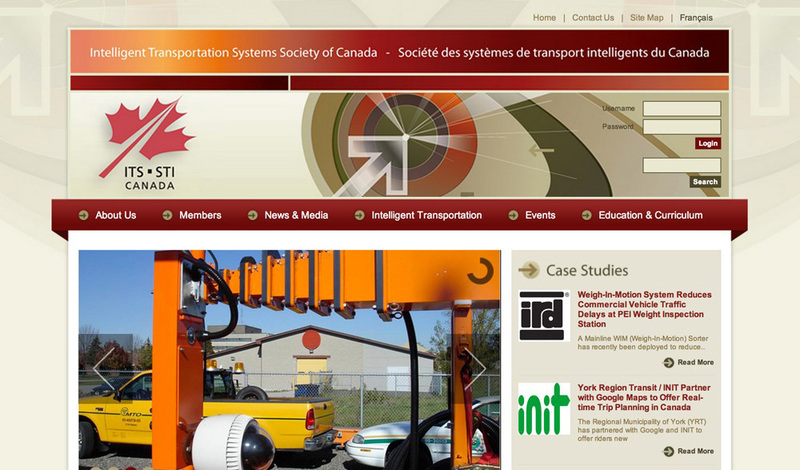 The Intelligent Transportation Systems Society of Canada (ITS Canada) is a national, bilingual association that leads the promotion and advancement of intelligent transportation systems and services to benefit Canadians. As a national association focused on innovative technologies, brand was naturally important. Yet more so was the ability to fully integrate and manage memberships and the association's website. The ITS Canada website, which is integrated with their member database, uses the bilingual (French-English) capabilities built into Association DNA and WebPortal One. This enabled ITS Canada to develop a bilingual website and database for a fraction of the cost of other solutions. 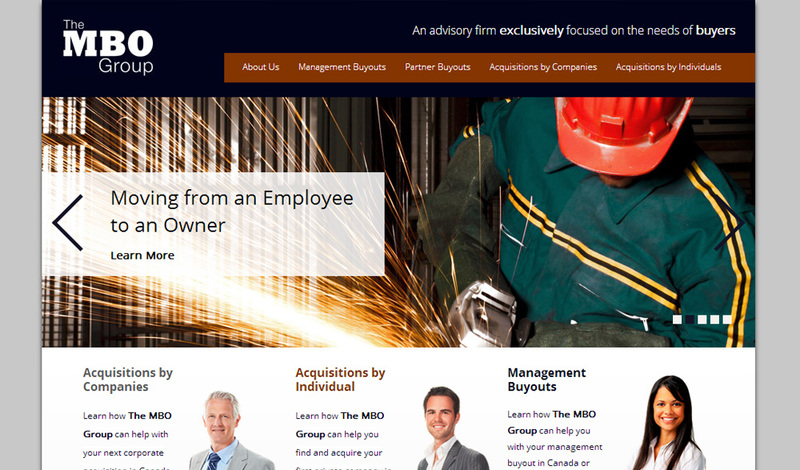 The MBO Group is the only advisory firm in the investment banking industry focused exclusively on advising managers of companies on how to buy their companies, known as Management Buyouts or MBOs. In its early years the company had effectively focused on building an information-rich website, which worked well since they were essentially creating a new category. However, when the company opened an office in Sydney, Australia, where they were relatively unknown, it became clear that a new design with a more polished brand was needed. 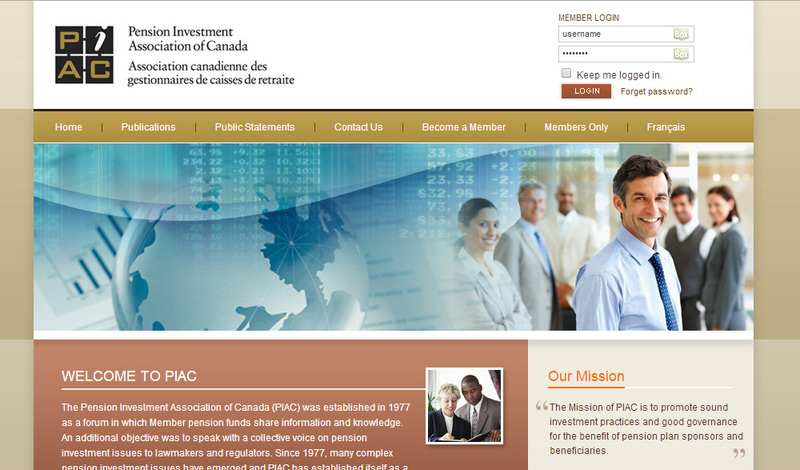 The Pension Investment Association of Canada is primarily a closed forum for member pension fund investment firms to share information and knowledge and to act as a voice for the industry, to governments as well as small and large pension funds. The development of the PIAC website, which is fully integrated with its back-end member database, was one of the earliest instances of Biz-Zone's membership database coupled with our content management system. The "export-to-Quickbooks" capability in Association DNA was initially created to meet PIAC's needs. Copyright © 2014 Biz-Zone Internet Group Inc. All Rights Reserved.